=> FeedCreator lets you easily create RSS 0.91, 1.0 or 2.0, ATOM 0.3 and OPML 1.0 feeds with PHP (download link). Set temporary directory to cache rss feed, web server must be able to write to this directory. You can use 3rd party service such as Yahoo Pipes, which is an interactive feed aggregator and manipulator. Personally, I like to keep more control on my feed, hence I wrote this script. HTML has been in continuous evolution since it was introduced to the Internet in the early 1990’s. Some features were introduced in specifications; others were introduced in software releases. In some respects, implementations and author practices have converged with each other and with specifications and standards, but in other ways, they continue to diverge. This document describes the differences between HTML4 and HTML5 and provides some of the rationale for the changes. This document may not provide accurate information as the HTML5 specification is still in development. When in doubt, always check the HTML5 specification itself. Very few people are aware about historyâ€™s first programmer. 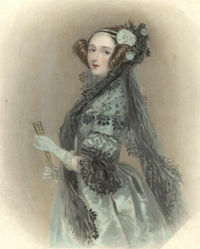 Ada Lovelace is popularly credited as history’s first programmer. She was the first to express an algorithm intended for implementation on a computer, Charles Babbage’s analytical engine, in October 1842. She really did write a program, one for calculating Bernoulli numbers. Ada, a computer programming language, is named for her. She is mainly known for having written a description of Charles Babbage’s early mechanical general-purpose computer, the analytical engine. Ada was the only legitimate child of the poets Lord Byron and his wife, Anne Isabella Milbanke. She was named after Byron’s half-sister, Augusta Leigh, whose child he was rumored to have fathered. It was Augusta who encouraged Byron to marry to avoid scandal, and he reluctantly chose Annabella. On January 16, 1816, Annabella left Byron, taking 1-month old Ada with her. On April 21, Byron signed the Deed of Separation and left England for good a few days later. He was never allowed to see either again. Ada was born on December 10th, 1815. More information and photo credit at wikipedia article. => Change of date/month/year should be handled properly.